35 Yrs Experience - One Free Consultation!! Using a combination of Vedic Astrology, Face Reading, Palmistry, Numerology and Psychic Abilities it is possible to know where you are in your life and whats going to happen in the future. A vedic horoscope chart is like a map of your life that can help you reach your destination and goals with minimum of efforts once you know whats going to happen. Over the past 35 years Pandit Anil Sharmaji has helped thousands of clients all over the world to get what they want in their life. India has many ancient secrets and there are many tried and tested methods to influence your future events and make things happen for you. 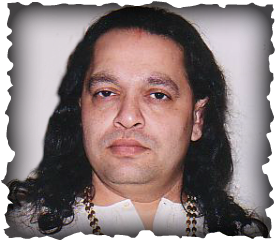 Call or email Pandit Anil Sharmaji now for One Free Consultation. All consultations are 100% confidential. Are you unhappy in your love life? Do you need some one back in your life? Are you having any legal problems? Are you having family problems? Are you having some health issues? Do you feel you have some blocks stopping you? Do you feel like black magic or evil eye is stopping you? Do you or someone you know need spiritual healing? Do you want to control someone or make someone do what you want them to? Call and discuss with Pandit Anil Sharmaji your problems and your goals in confidence for an immediate solution. In most cases solutions are possible remotely through the use of Mantras on audio, Yantras, Vedic & Tantrik Fire Rituals. A Vedic horoscope chart is done in detail and the planetary positions are seen to determine what rituals are needed to make the things happen or to open the blocks stopping you. A nominal initial fee is charged to do this chart to evaluate the situation and in most cases the other costs associated with the rituals are paid after you see results and improvement. Get what is due to you now!! Contact Pandit Anil Sharmaji for One Free Consultation. ** Check out this month special for Vedic Horoscope + Mantras Reg $250 now $150 only!! 35 years experience with thousands of satisfied customers from all over the world.